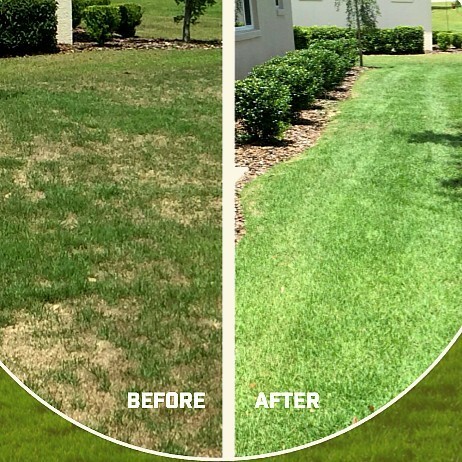 Have you tried and tried to get your lawn or plants healthy to no avail? You water them correctly, buy manure or fertilizer and nothing works. Then you might have a soil problem. 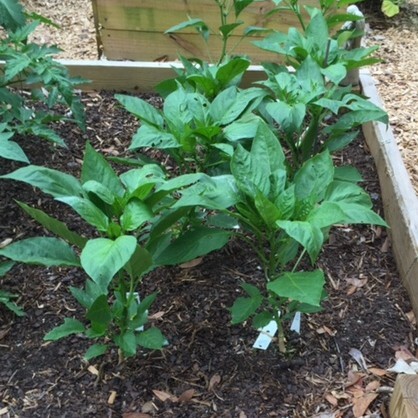 Having the right soil is just as important as watering your plants correctly. The wrong soil type can lead to weak roots, bad water retention, disease, and/or nematode infestations. While some store-bought soil will be able to fight against weak roots or plant disease none will do it with the efficiency of our specialty products Comand™ Turf Soil and Wild Earth Soil Mix #3. Comand™ is one of our own specialty products, meaning it is not sold anywhere else. We make Comand™ to specifically to fight against all that can ail your plants. What is Comand™? 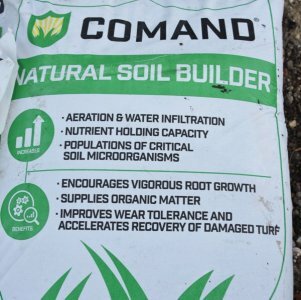 Comand™ is an all organic chemical and weed free topsoil. 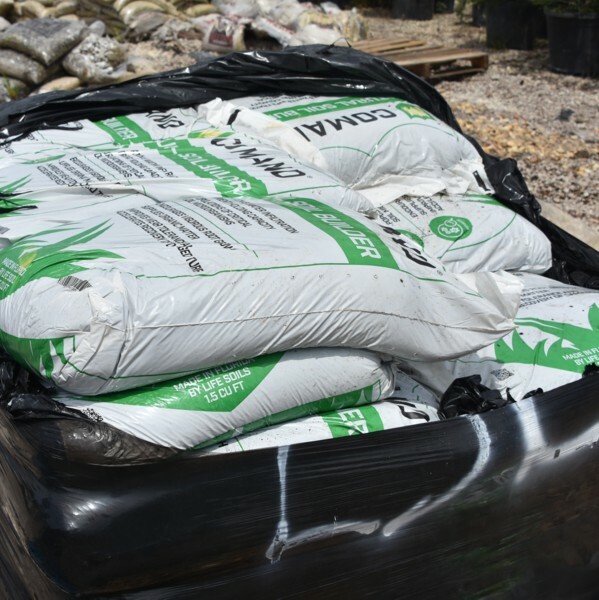 Comand™ is manufactured using varying blends of high quality sand and a unique compost product derived from a proprietary composting process. Comand™ is not a pesticide. However, it contains naturally - occurring microorganisms, which may help to suppress soil-borne populations of some plant diseases. Research has shown that increased populations of certain microorganisms can suppress plant diseases in turfgrass, such as Dollar Spot and Brown Patch, as well as being antagonistic to nematodes. The use of Comand™ can result in significant reductions in the use of fertilizer, irrigation water, pesticides and overseeding. In addition, the unique, high-quality compost utilized in Comand™ is derived from the controlled decomposition of organic waste materials and is thus considered a recycled product. Wild Earth Soil #3 is also a Mulch Master's specialty product. A Highly organic growing median for vegetables, flowers, trees, shrubs and for ground preparation for laying sod. Mulch Masters Mix #3 is a blend of wheat straw, chicken litter, cotton seed hulls, gypsum, organic compost, Canadian peat and pine products. A complete fertilizing package with the minor elements that stay in the soil for a full 26 weeks and longer. Environmentally safe because of its highly fertile nature. It reduces the need for chemical fertilizers. More economical than mixing soil yourself. The organic matter helps build soil by retaining moisture and improves water uptake efficiency while maintaining enough drainage. While having the correct soil important it is only half of the journey to healthy plants. To make sure that your soil can do its job you have to lay it right. If laid incorrect a few of the soil will lose of its "magic" properties. To lay your soil correctly you will need a tiller and shovel. We will give you an easy 4 step method to get your soil laid correctly. 1. Mark the area you want to lay the soil down on. You can use just about anything for this. Use any object to signify the corners of the area you want to lay soil on. Some people find it easier to just use wooden stakes. 2. After marking the area for soil, begin to clear it of all large rocks or debris. This is to make sure that your plants will have nothing obstructing their roots growing. 3. Now the tiller comes in handy. Now till your selected area. Repeat this step until the entire area selected has been tilled. Tilling the land creates grooves for your soil to fill in and creates a loose soil for your plants to sprout in. Make sure you do not walk on the freshly tilled ground as it will reverse everything you've done. 4. Now spread about 2 inches of soil over the freshly tilled ground and till the ground again. This should be repeated about three to four times to get the perfect amount of topsoil and earth mixed together. Once this step is done your plants be in a perfect environment for thriving.